The fundamentals of really good UX is the identification of a genuine user pain point, an understanding of the pain point inside out, and the development of an innovative solution that solves the pain point explicitly—and delights the user in the process. This is exactly what Waze does and is the reason why Google snapped the app up for $1.15 billion in 2013. Waze is the world's largest community based on users who share the same problem: traffic jams and congestion. 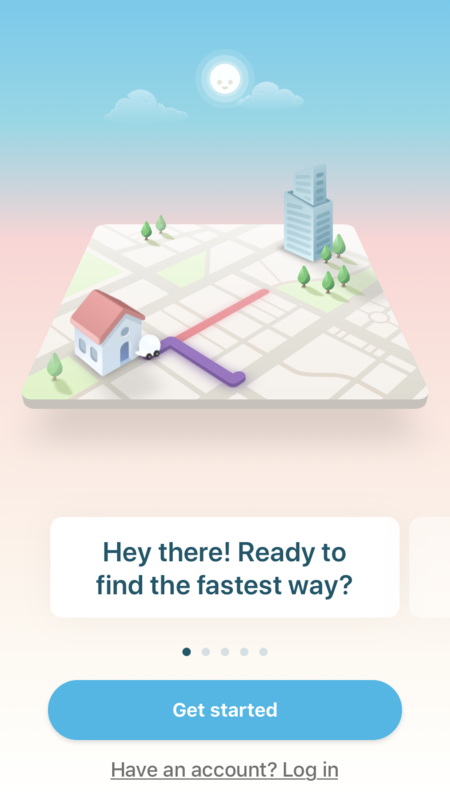 Users share their location and average speed with Waze, and in return the app provides its users with the fastest turn-by-turn route that dodges traffic and gets its users to their destination in the quickest way possible. 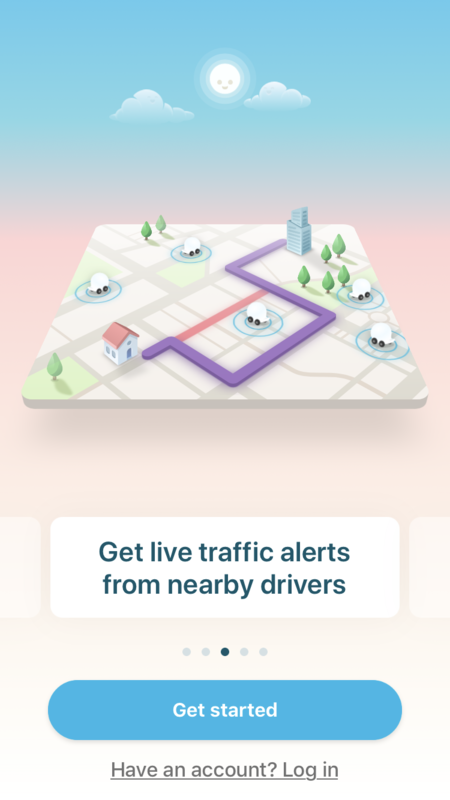 This means, Waze is not your typical GPS navigation system, so to stand out in the crowd, Waze brings these benefits to the fore. Users do not care about features; they care about benefits. For example, users don't want a community-based traffic and navigation app: they want to get where they are going faster. 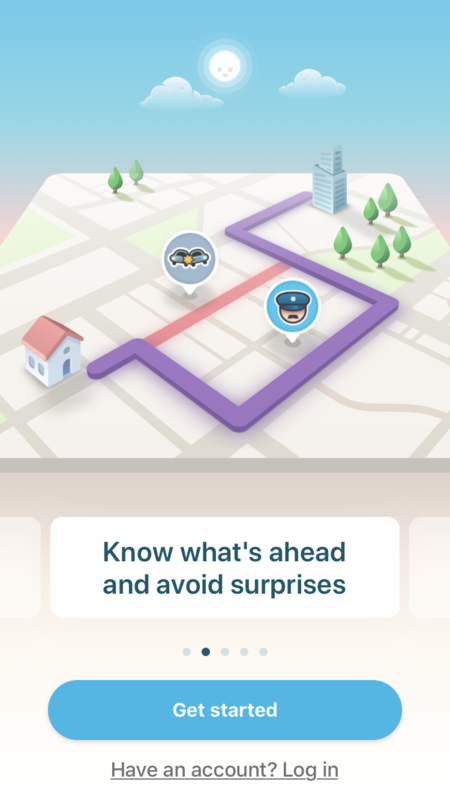 It's the benefits of Waze that people want, not the technology, and that's why Waze leads their onboarding flow with five compelling benefits—with engaging animated graphics—that are sure to entice even the most skeptical of motorists to continue. 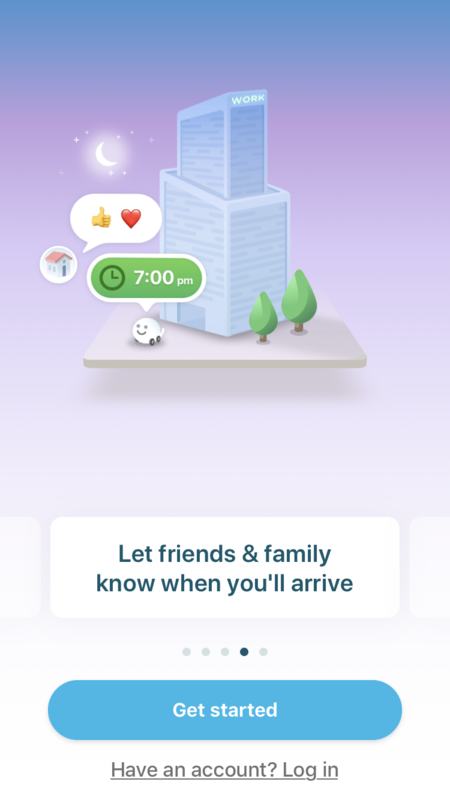 Waze is not hidden behind a sign-up wall to ensure acquisition rates are as high as possible. 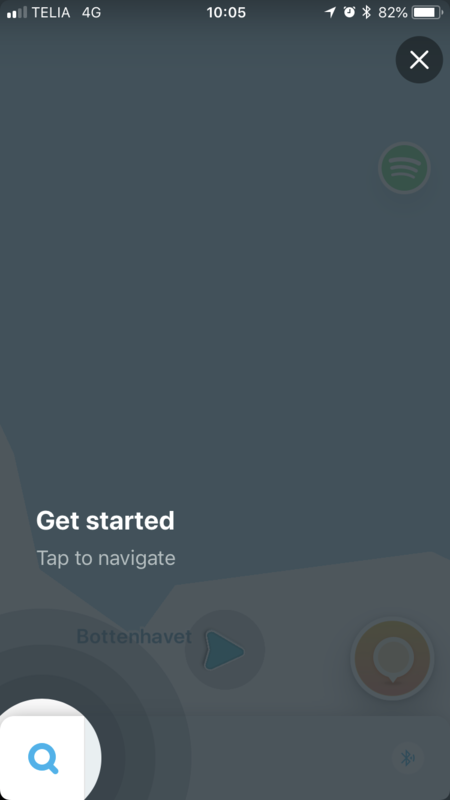 This move also supports users at the moment when they would use Waze: just before they start driving. 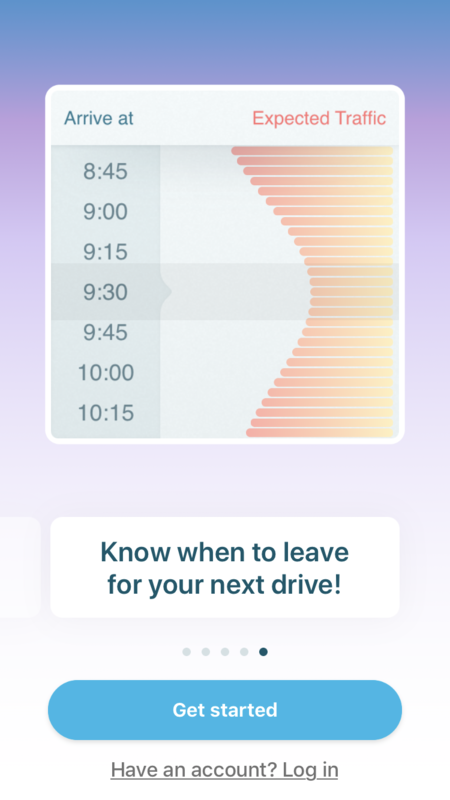 In this scenario, the user wants to get going to their destination as fast as possible, so they're not in the mindset to spend time signing up. Advertisements can ruin a user's experience with an app because they interrupt, overwhelm and are stalkerish. But they are a necessary evil: they keep the products users love to use free. 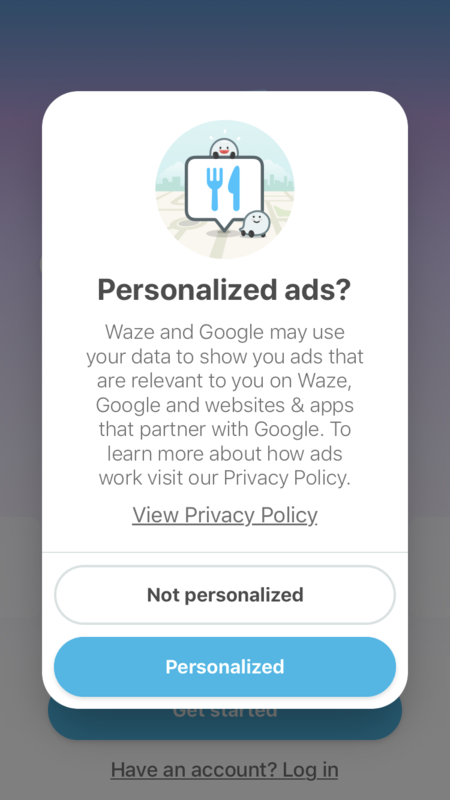 But here, Waze puts their user's experience before their own needs by giving the user the option to receive “personalized ads.” Putting the decision in the user's hands is a surefire way to develop trust and credibility. 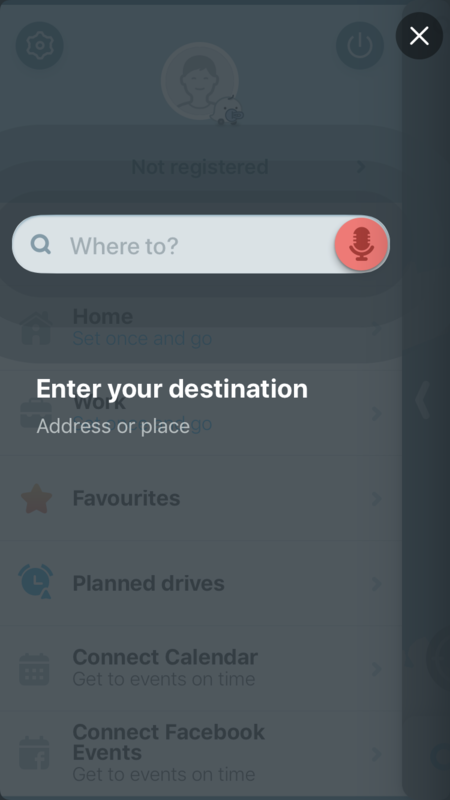 Waze uses spotlight tooltips sparingly but effectively to draw the user's attention to the essential functions of the application. The copy is reduced to its minimum to keep it concise and let the user continue at speed.